One difference between Oregon and Arizona is I spend a lot more time outside on the back porch. Our rental house has a covered patio and a large backyard where I see a variety of birds (23 species so far this month). My porch buddy has returned with the cooler weather, Ellie likes to sleep on the cool ground though we do keep a dog bed there for her. 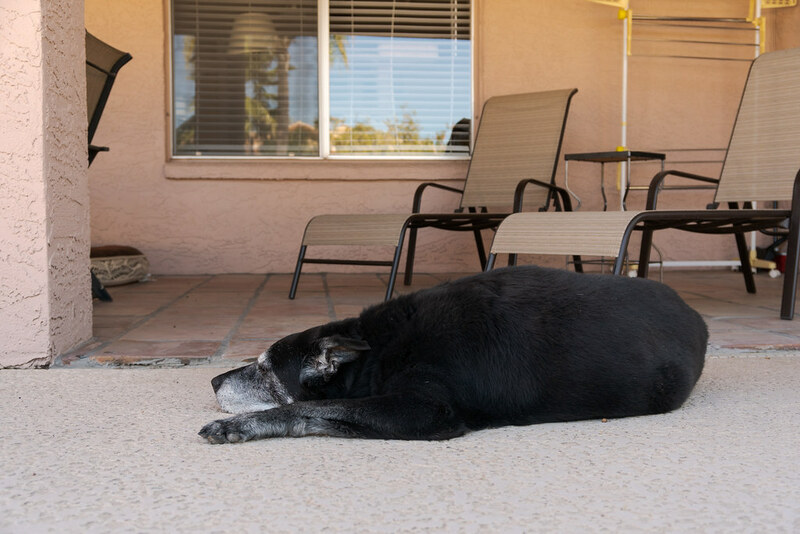 This entry was posted in Pets and tagged backyard, black lab, dog, Ellie, patio, sleeping. Bookmark the permalink.